Sigma Builders, a custom home builder, has developed a culture infused with out-of-the-box thinking, which allows for creativity, resourcefulness, and ingenuity that creates a unique value proposition for our homeowners. Our experienced cross-industry and cross-discipline team is relentless in our creative method, ensuring your home is uniquely designed while presenting enduring value. 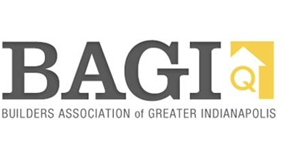 An Indiana-based company, Sigma Builders is currently building in highly sought after communities of Carmel, Zionsville, Fishers, Westfield, Avon, Brownsburg, Noblesville, South Broadripple, Fountain Square, and Greenwood in the Greater Indianapolis area. Sigma Builders believes in building high quality functional and beautiful homes for our homeowners. We use technology along our extensive building experience to ensure your new home brings you lasting joy and value.